I just loved this group of flannels. Unfortunately, I did it again – I did not save a selvage for the fabric line name. I cut out all the fabric in a hexagon shape. This left a ton of waste triangles. 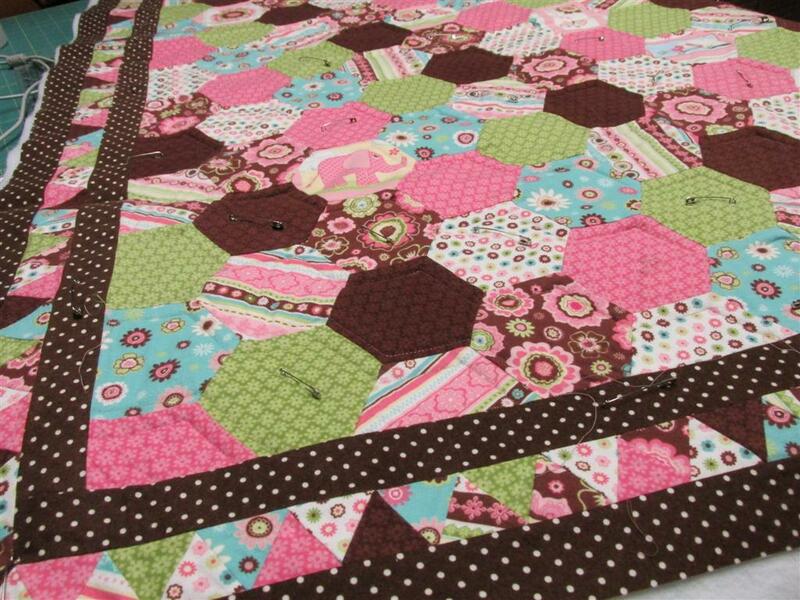 Don’t ask me why, but I have been wanting to do a machine sewn hexagon quilt wherein you sew with Y seams. I marked the backs of all the hexies so I could see my starting and stopping points. It was certainly slower sewing than piecing rectangles, but I really enjoyed it and it wasn’t very difficult at all. I went online to find a flannel that would work for the border and I really lucked out. 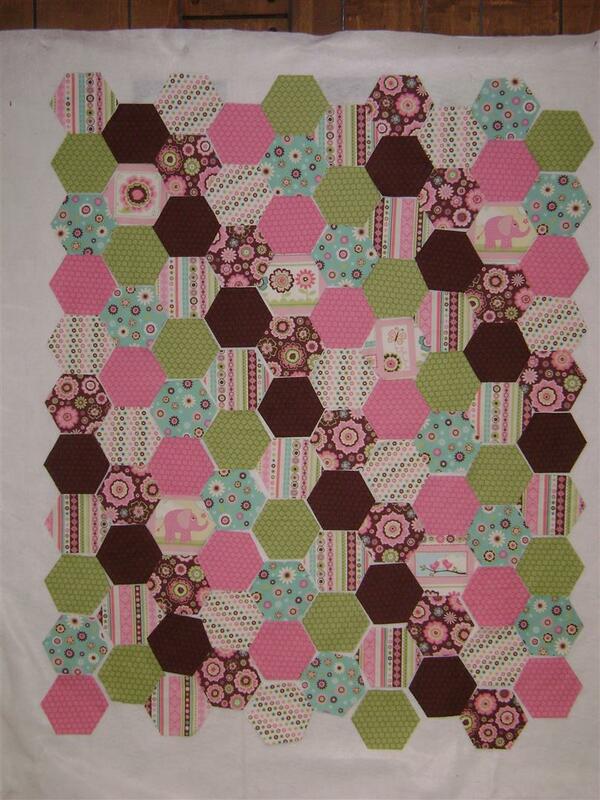 The dark brown and white polka dots worked well with the hexies even though it is a different line of fabric. I then sewed all the waste triangles together for an accent border. That was a lot of sewing. It got to the point I did not want to ever see another triangle! The end result was worth it – and no wasted fabric! An outside border, binding and done! This too is one of my UFO’s for my guild’s challenge. I’m slowly but surely getting there. There are 20 on my list and I should have 17 done by the end of this year. The holidays will definitely take a bite out of my sewing time, but that’s okay – I will enjoy them! I have until June, 2015 – so here’s hoping!! Posted in Fabric, Quilting, Stash and tagged Flannel Quilt, Quilting, stash, UFOs. Bookmark the permalink.